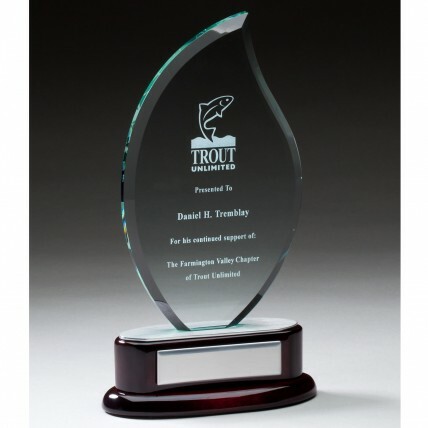 With sleek lines and a high-class combination of colors, this trophy surpasses the rest! 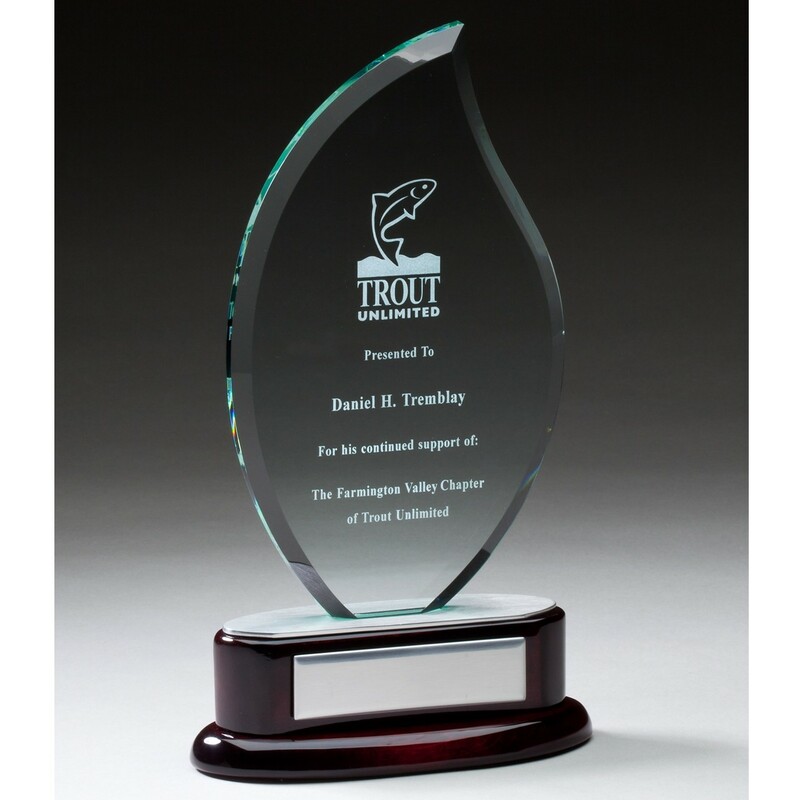 This Luminary Jade and Rosewood Glass Trophy features light green tinted glass in a flame shape with a beveled edge, atop a lustrous rosewood and aluminum base. Your free and personalized engraving is etched into the glass for an extra elegant look. Add some text to the base as well for a small extra charge. This charming trophy is sure to be proudly displayed by all! Available in three sizes. If you would like engraving on both the glass and the base please attach a document with your text/logo on the following page specifying the engraving locations. Sm: 8.25", Med: 9.25" , Lge: 10"
Production time for this product is 4 business day(s); expected pickup or shipping date is 04-24-2019.